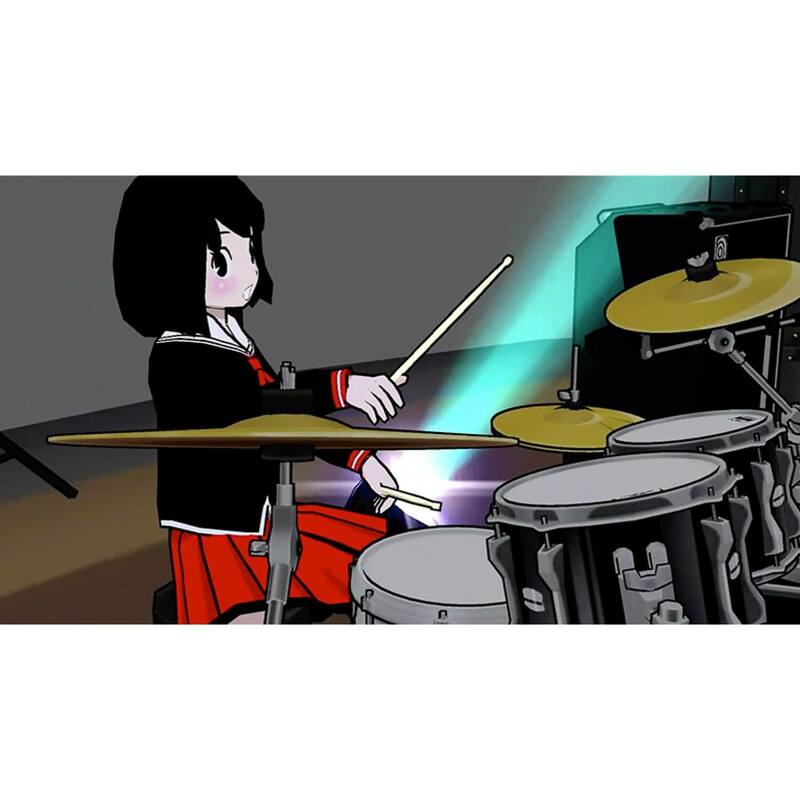 Learning the rhythm and whacking away at the air with the Joy-Con controllers is exactly what you are meant to do in Gal Metal — a story-heavy rhythm game coming out next year on Nintendo Switch. This anime-style game starts off with a story told through various comic pages. You play a high schooler at an all-female school, an average girl until the day you were abducted by aliens! As it turns out, the aliens were unhappy about a satellite put into orbit above Earth. This structure pulsed metal music through the galaxy — aliens don’t like metal music. So, they’re going to come and take over the world, destroying civilization as you know it, all because of this metal music. They did have the decency to warn you, as well as kidnap a male who is magically able to speak through your brain when you wake up the next day — confirming that the aliens do exist. You now need to try to convince your friends to join a metal band, learn the moves and defeat these aliens — just to save the planet. At least you won’t take this one alone, as you have your new best friend speaking in your head. Using your Joy-Con controllers, you get the chance to practice your beats — watching them light up in time with the music. You can practice in your basement with friends until you have a good understanding of how to play the song. Once you move into the live performance, the challenge begins. When playing live, you do not get to see the visual cues that go along with the song. Instead, you must keep up with the rhythm as you hear it, lining up combos as you continue to follow the flow. Apart from a timeline at the top — which is green in areas where you are doing well — and some flashing words that appear on the screen, you don’t actually know just how well you are doing until the song ends. You just have the choice of which type of notes you want to play and how you want to make these combos — it’s all up to you! Then all of your combos are added up and given a final score, which is hopefully big enough to defeat the aliens trying to harm you. I was able to play an early build of Gal Metal at the Bristol Games Hub Press Day and am really impressed with what I’ve seen so far. I quite enjoy rhythm games, especially challenging games that provide such a rich story to go along with them. 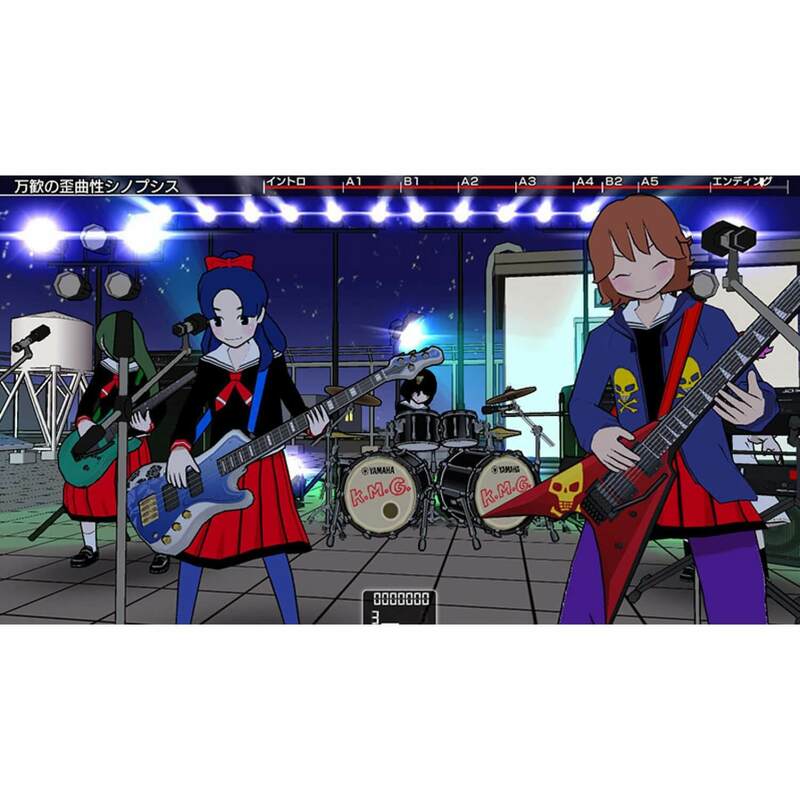 Gal Metal is due to come out on the Nintendo Switch in 2019. You can find some more information out about the game on the website of developer DMM Games.